Listen to this track by one-time clubhousing musical pioneers and last waltzing quintet mostly from Canada, The Band. It’s “It Makes No Difference”, a classic deep-cut from their 1975 album Northern Lights, Southern Cross, their sixth. This track features the vocals of bassist Rick Danko, known these many years later as one of his defining moments as a performer. It’s hard to deny. The song itself is heartbreaking, coming from the point of view of a man bereft of joy having lost his love with no hope of regaining it, and when sung by Danko, his very soul along with it. This is all bolstered by writer Robbie Robertson’s lyrical guitar voicings, and Garth Hudson’s mournful lines on the saxophone. Robbie Robertson wrote the song specifically with Danko in mind, knowing what the possibilities would be. After all, this song is probably one of the most direct and personal songs he ever wrote. So, what is it about Danko’s voice that brings it to life so effectively to the point where all other vocalists covering this song over the years haven’t come near to capturing? The Band had three regular singers, each one bringing something unique to the table, all of them wonderfully imperfect and therefore utterly human, too. Richard Manuel brought a sense of soulful anguish, full of experience and weariness as if each narrator he voiced had seen it all before, and expected to see it all again before the end. Levon Helm brought a laid-back and lascivious spirit in his voice. But his characters are ultimately the voices of the survivor. Even his Virgil Kane, in all his sorrow, found a way to overcome. Rick Danko delivered a sort of boyish charm with his vocals. But instead of Manuel’s weary experience, and Helm’s indomitable strength, Danko sings with a cracked innocence on the verge of crumbling altogether. When Danko sings of troubled times, it is the sound of someone’s world coming to an end despite all hopes to the contrary. This quality in his vocal delivery would be highlighted in a number of songs. But, this one is special where Danko’s voice is concerned. A good deal of the success of “It Makes No Difference” is down to Robertson’s writing, of course. Even if this is the most emotionally connected song he’s ever written, it still hold the same epic scale for which he contributed to the fame of The Band, with huge and sweeping historical tales, each imbued with novel-sized dimension. I’m sure that knowing the capabilities of Danko as a singer had a lot to do with how precise the writing is as well. That’s what happens when you perform with someone for a decade and a half, I guess. This is true of each member of the group, each with a well-honed sense of the contributions of other members and how to find a unique balance within that spectrum. For instance, Robertson’s own playing here shows off his full range of skills on the guitar, which he’s often held back on earlier cuts so as not to crowd out the storytelling. And for another example, Garth Hudson’s saxophone serves as the wordless expression of raw human sorrow, winding its way into the fabric of the whole narrative, which in the end refuses to be crowded out in any case. But that narrative leaves a lot of things unanswered. The biggest one is the reason the central relationship ended. In this, I’ve always assumed that Danko is giving voice to the widower, a man in love with someone who can never return that love ever again even if they wanted to. The sheer gravity that he manages to create in this song is primal, the sound of someone who will never recover, who has had something fundamental taken from him that he will never get back. He is beyond hope; it makes no difference. This is more than an “I’m just not that into you” style break-up song. It is Danko’s delivery makes us certain of that. And therefore, it’s he who binds the elements of this song together to make it what is remains to be today; one of the saddest songs ever written and performed by anyone. 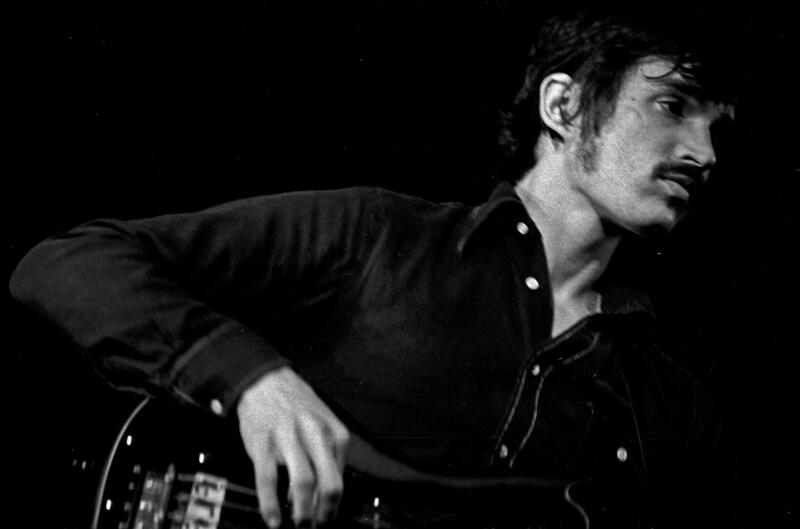 In addition to his skills as a vocalist, Rick Danko was a superlative bass player, as well as a versatile multi-instrumentalist. Some of the textures he laid down on various Band recordings included fiddle, trombone, guitar, and stand-up acoustic bass. Amazingly, Danko managed to put the song over in a live setting as well, most famously featured in Martin Scorsese’s rock film The Last Waltz. This was the show on which The Band announced their retirement from the rigours of The Road. This was also the tour in support of Northern Lights, Southern Cross, their then-new album. As such, “It Makes No Difference” sits very well alongside The Band’s most enduring tracks and would continue to do so up until today for all of the reasons mentioned. Fifteen years ago today on December 10, 1999, Rick Danko passed away in his sleep. With his passing, the third and final incarnation of The Band was laid to rest as well. Yet this song, among others, would remind musicians and fans what a truly human performance meeting with exceptional songwriting can bring to life. He would also be greatly missed among musicians, who found him to be a down-to-earth and highly affable man, despite his immense talent. Learn more about Rick Danko at The Band official site. Maybe not the saddest song ever written, but Danko’s voice sure makes it sound like it. It really is a great example of that magical alchemy between writing and performance. With this, it’s impossible to hear the divide between the two. More yearning and resigned anguish per line than almost any other song I can think of. The harmonies, rough but plaintive, add depth and pathos. Fitting article on an extraordinary song. Thanks. Yeah, those lines pack a huge punch alright. Danko really knew how to get to the heart of this one. Well said. I never thought of it as being the point of a widower, but that would make sense in view of the song’s aching finality.